Comrie Croft is very dear to our hearts as we have shot weddings there almost from the very start since we started our photography business in 2012 and flew our Harris Hawk spike in the barn! We’ve seen it grow from a barn with no doors and barely a roof to the gorgeous place it is today. Each wedding there is totally unique because it’s what you the couple bring to it and it tells your story in its own unique way. Where some venues have facilities, Comrie Croft with its community and history has a heart and soul. We remember the beautiful Maria seeing snow for the first time on her wedding day with Graeme; Lucy & Chris seeing red admiral butterflies landing on the straw bales above in the barn as they made their vows; Lindsay & Ryan’s thousands of gold sparkly stars and her hand drawn menagerie… Sophie & Martin became Buzzfeed’s poster couple whilst Annalise and Phil caught the most epic golden hour we’ve seen at the Croft (we know the perfect sweet spot!) A bridal party naughtily swigging Buckfast; another vintage champagne. That’s the thing. You make it your own. A blank canvas to paint your story. 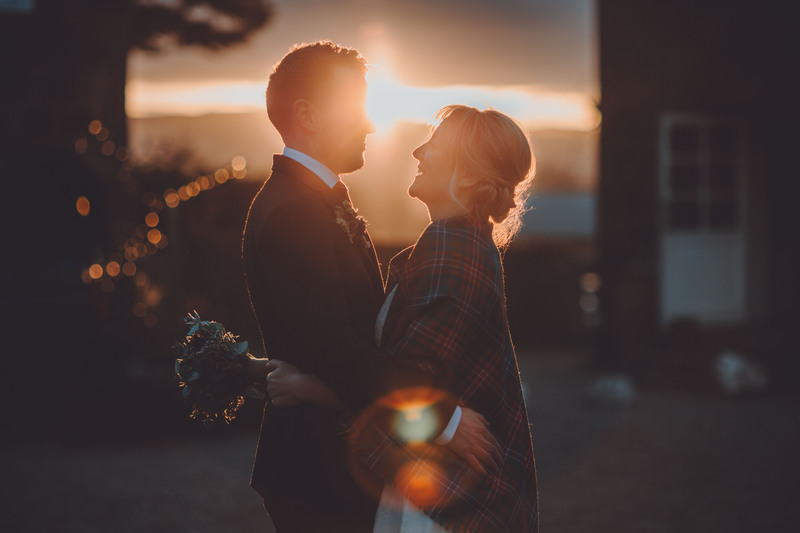 In this blog we’d like to show what a wedding at Comrie Croft can look like and also treat you to some prettiness from the recent Wee Nosey event, which brought together some fantastic suppliers. Thank you Ellen and all the Crofters for a fantastic day.